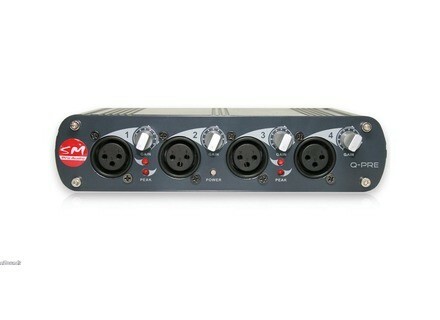 QPre, Solid-State Pre-amp from SM Pro Audio. SM Pro Audio introduced several new products earlier this month at Frankfurt's Musikmesse. No mention of those products on the company's website. No pricing info either, but you can google them to get an idea. [Musikmesse] Vintage Tools VT-Trakker Vintage Tools has introduced a new "vintage" analog mixer in a compact enclosure. [Musikmesse] Charter Oak SA538 CharterOak introduced its SA538 tube condenser microphone. Soundcraft Vi Interface Cards More option interface cards for the Soundcraft Vi Series Digital Live Sound consoles have been released, expanding the applications of the digital mixer into Broadcast, and adding capabilities for direct recording from the desk, according to the company.